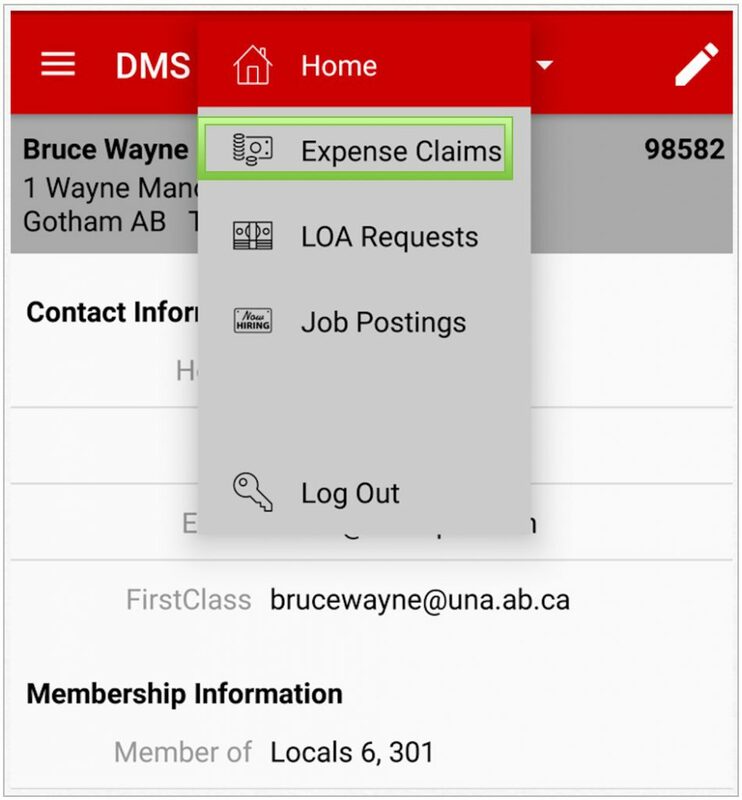 If you use an Android, use the procedure outlined in this tutorial to sign into the UNA Data Management System (DMS) using the UNA App. 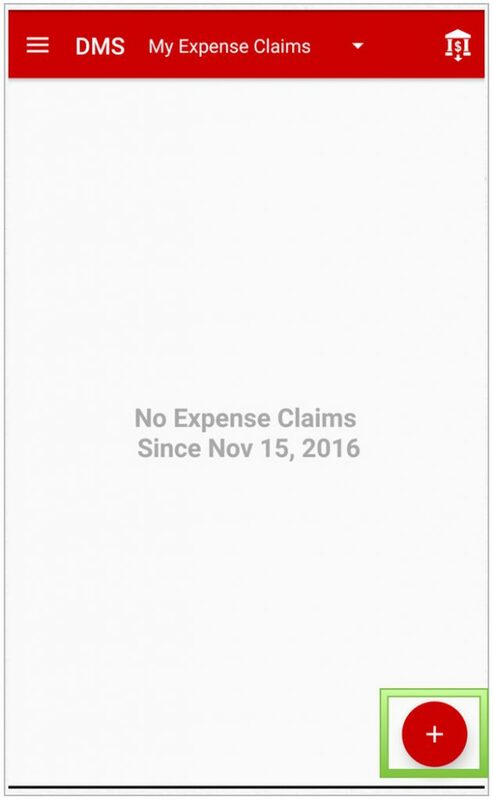 The My Expense Claim screen will open and display a list of claims if there have been any in the last 3 months. 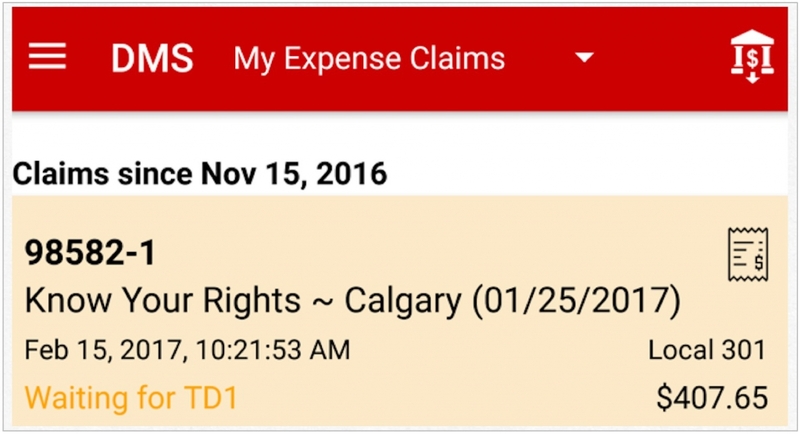 Tap the Plus Sign at bottom right-hand side of the screen to begin a new claim. 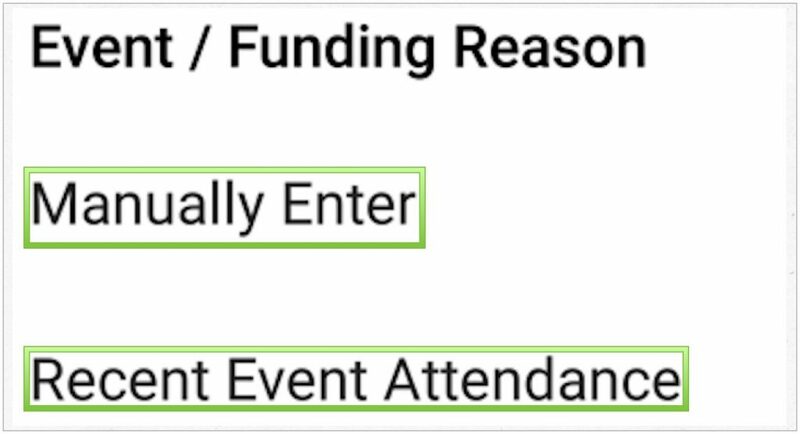 By selecting Manually Entering the Event/Funding Reason will indicate Unnamed Event, manually type in the Event. Tap Save to hide the keyboard. 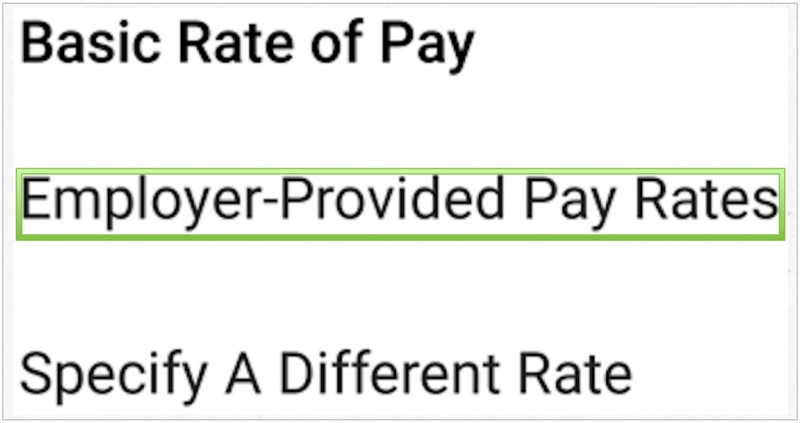 A Basic Rate of Pay will appear on the screen. 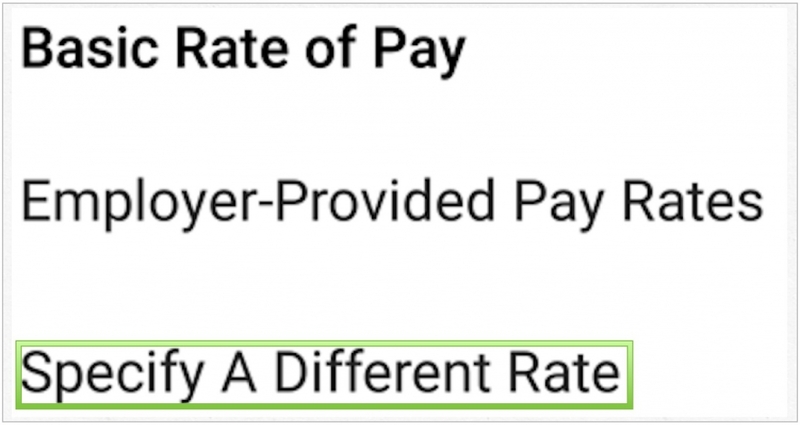 To change the rate of pay, tap on the tourquoise text and enter in your Basic Rate of Pay or choose the Employer – Provided rate. 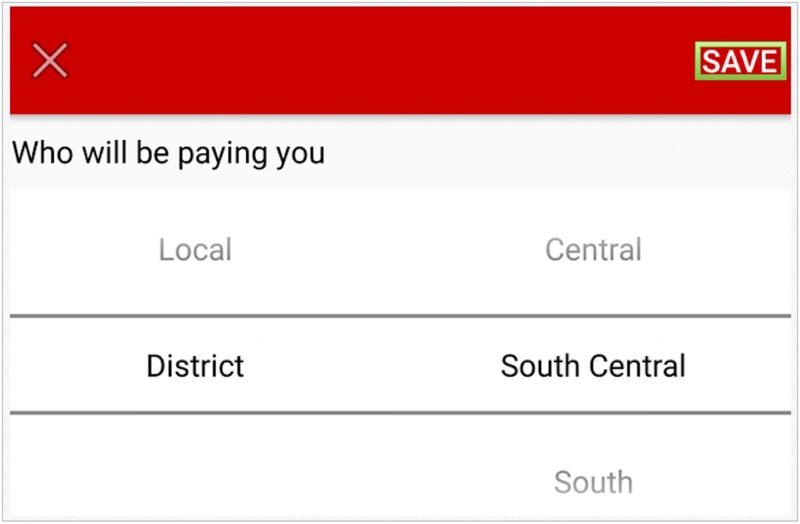 To select Your Local, tap the line and the name of the Local will appear. 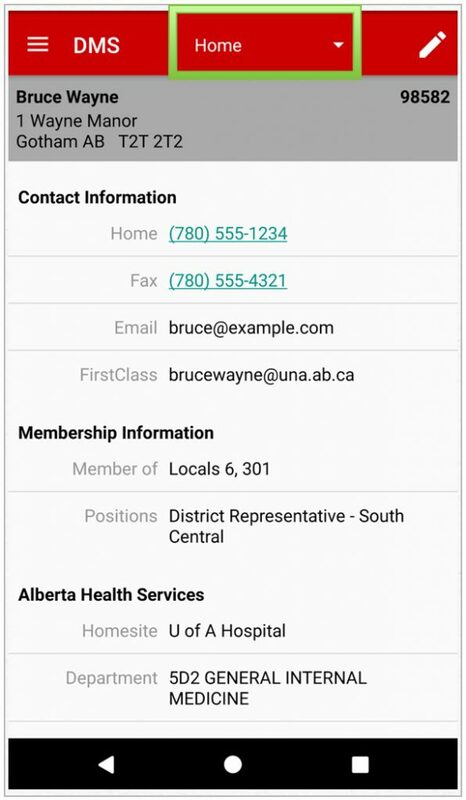 A list will appear if the member belongs to more than one Local. 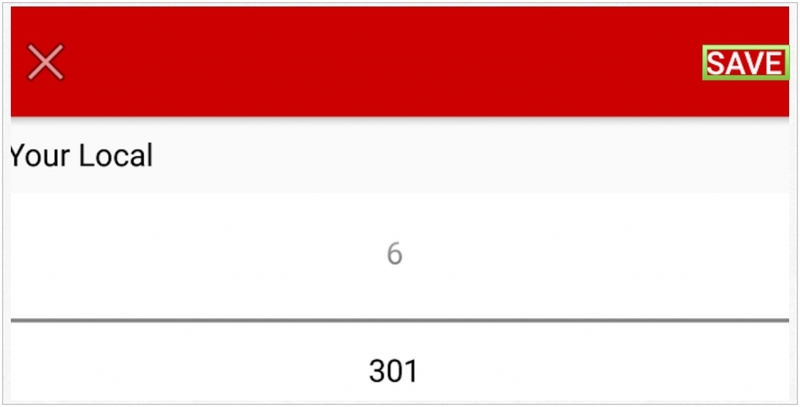 The member can select the Locals which they belong to. 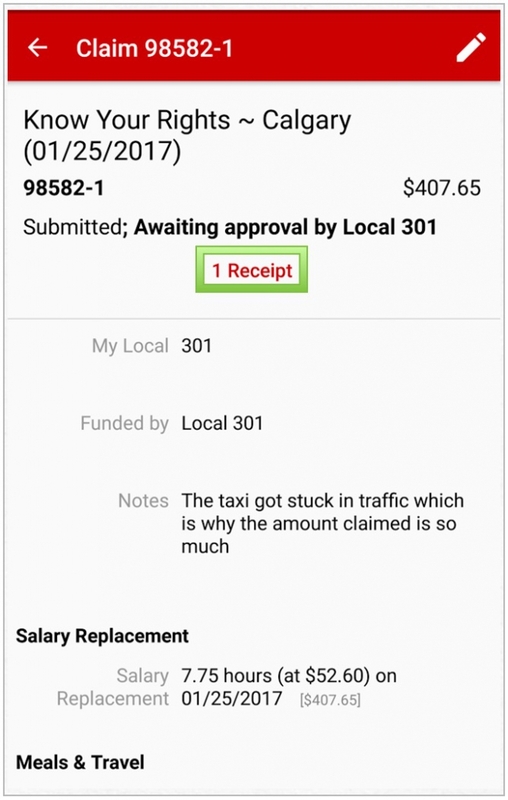 If the member is claiming a Salary Replacement Tap Add Salary Replacement. 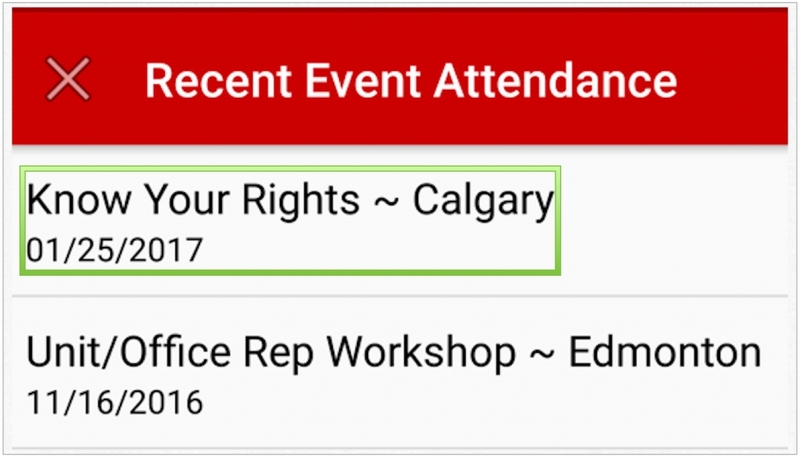 If a Leave of Absence has been taken, complete the fields by manually entering in the text. 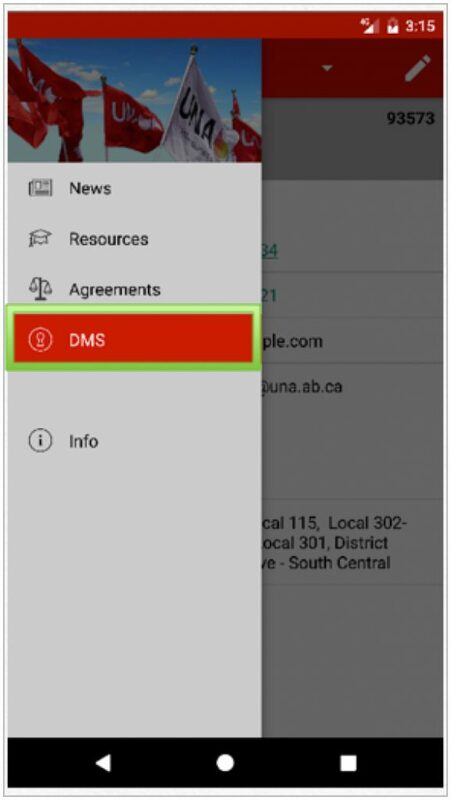 The option to Add an Abutting Shift is available, just tap Add Abutting Shift to open. 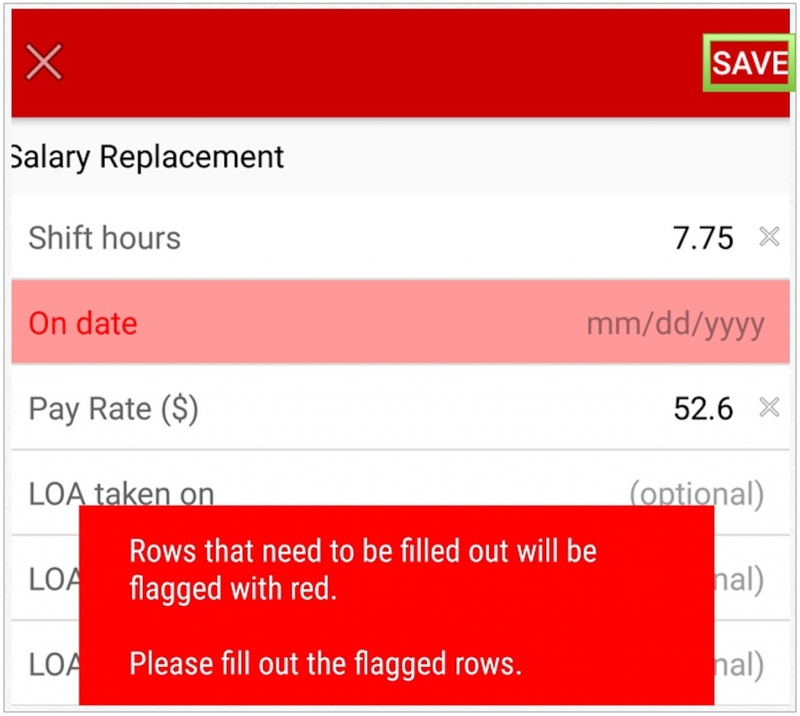 When the SAVE button is tapped and the required fields are not all completed a Red Error will appear. 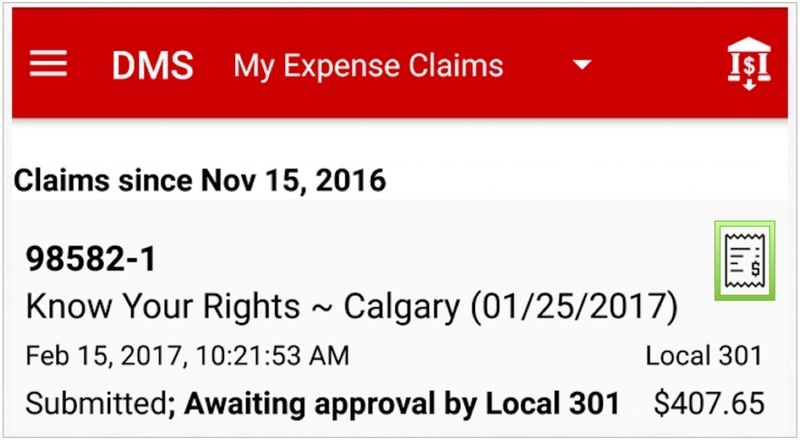 The options to Save As Draft or Submit Claim will appear. 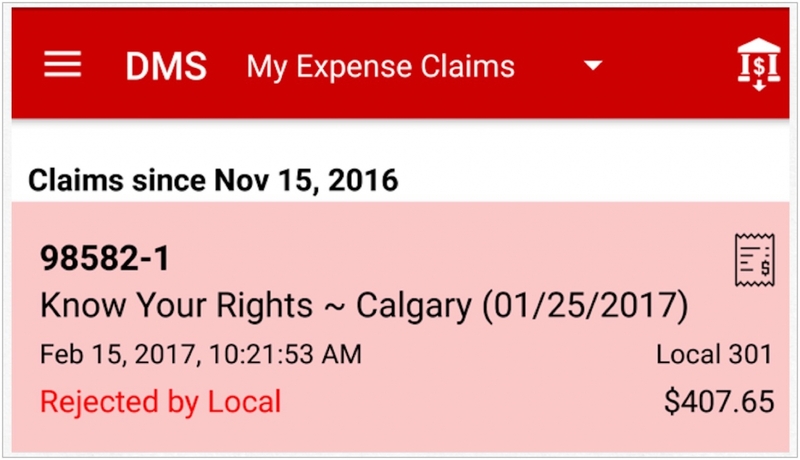 Save As draft if changes are required to be made to claim. 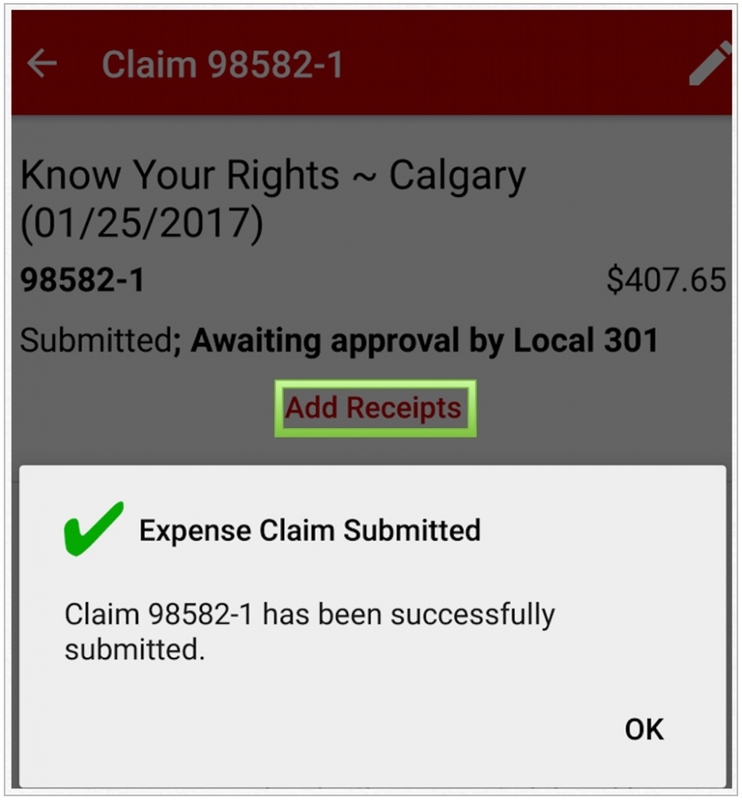 Submit Claim when the form is complete. Tap on Plus Sign in bottom right-hand corner. 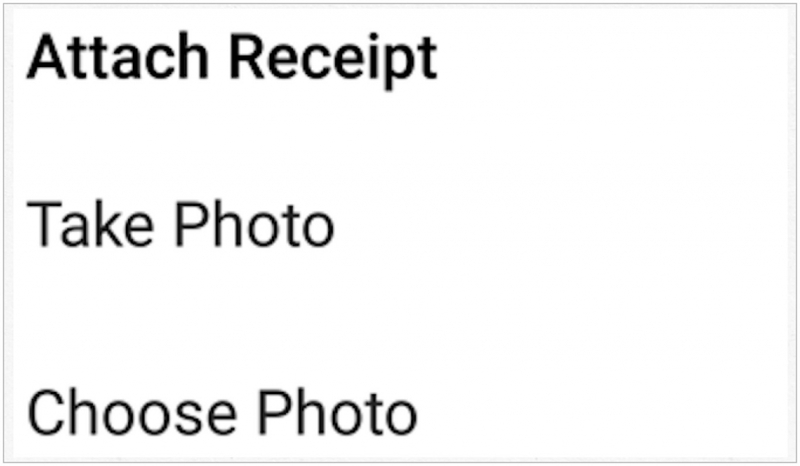 Allowing the options to Take Photo,or Choose Photo will allow receipts to be attached. Receipts pictures must be clearly visible. 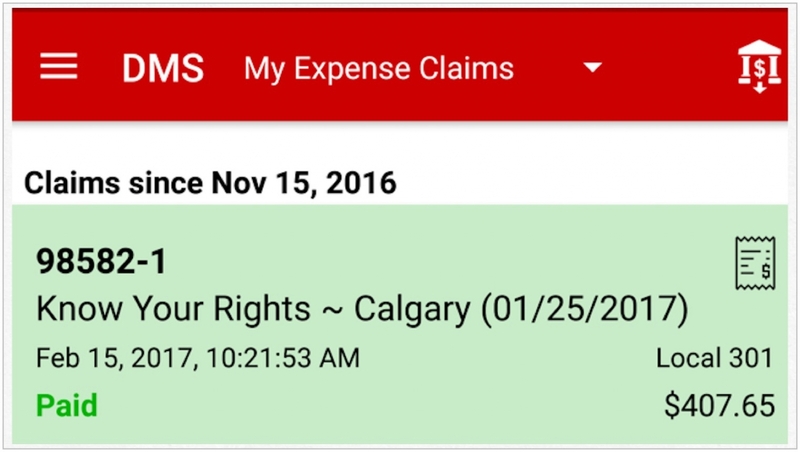 The receipt will attach to the expense claim. 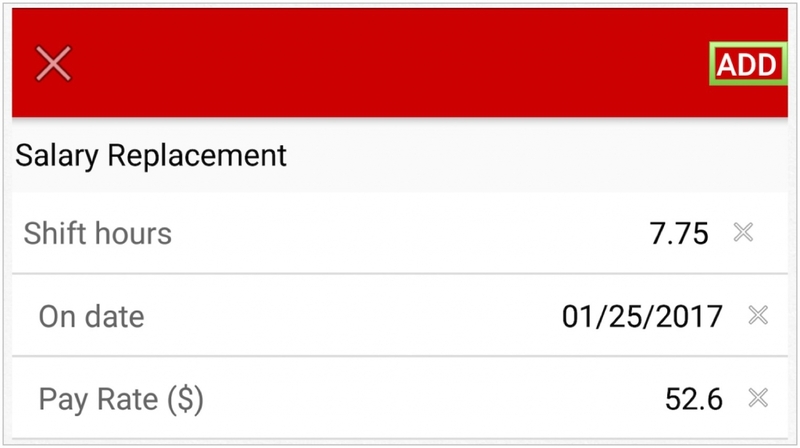 To add additional receipts, tap Plus Sign located in bottom right-hand corner. To delete a receipt tap the Pencil in top right-hand corner for the Delete option to appear.